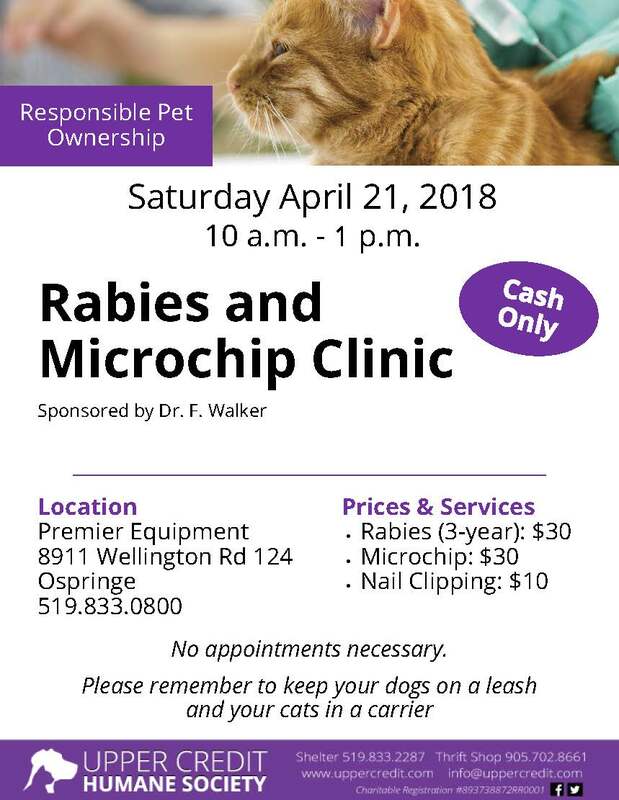 Bring your cat or dog to Premier Equipment in Ospringe for a $30 rabies shot. Microchips are also available for $30 and nail clipping is $10. All are cash only. This clinic is sponsored by Dr. F. Walker.